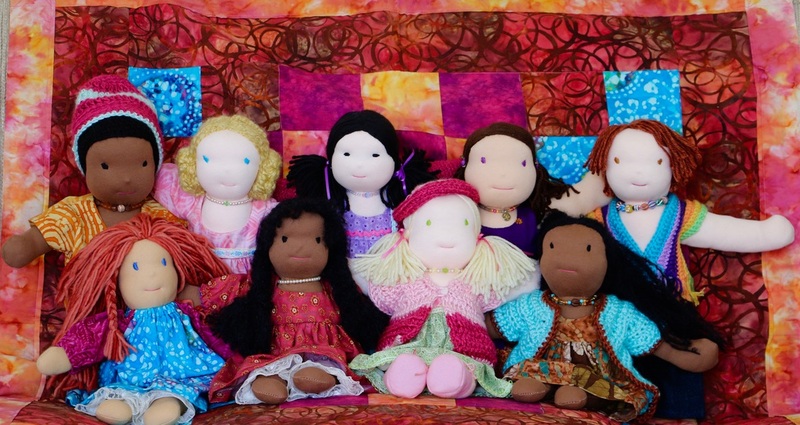 We are a little tribe of dolls born on the magical banks of Yoder Pond, in Virginia. Our hearts are always happy because we spend a lot of time being kind and sharing love with all of our friends: each other, the trees, the grass, the sky and the sun, and all the little woodland creatures and fairies that live nearby. Although our doll maker takes very good care of us, we are excited to find new homes, and new friends. If you believe in magic and would also like a new friend, we're ready to journey to you! To find out how to adopt one of us, click here.